The cuff's silver finish shines through and makes those colours really POP! With the rolled edging of opaque fuchsia and silverlined pale pink, the beaded bracelet is about 2-1/2" wide. 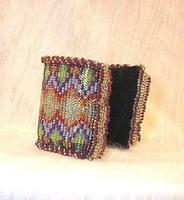 The same colours make up the fringes on the cuff's ends. 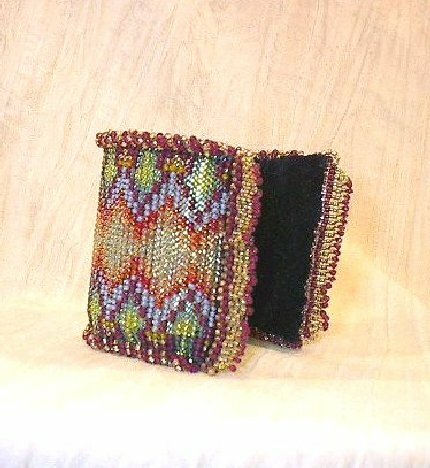 The cuff may be adjusted to fit a variety of wrist sizes, and the soft dark violet velvet backing ensures a comfortable fit. 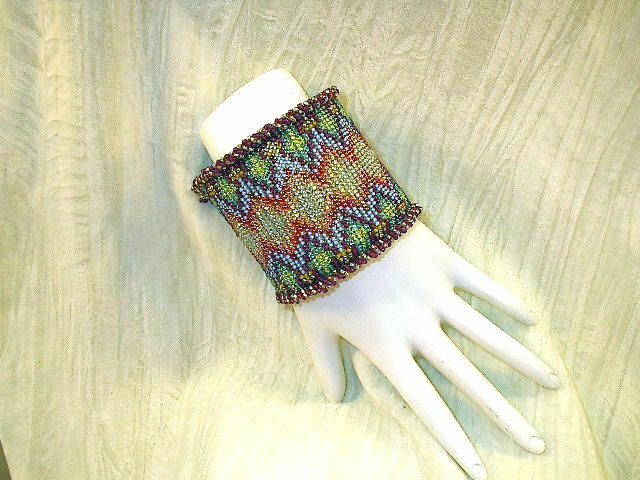 Truly unique -- I will NEVER make another beaded bracelet in this pattern -- it's another one-of-kind beauty from SPARKLE PLENTY.